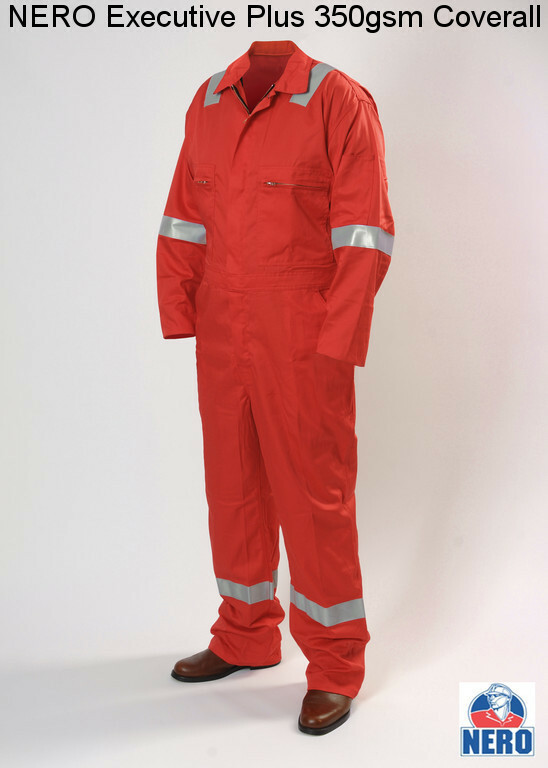 NERO Executive Plus 100% Cotton flame retardant coverall, complete with 50mm flame retardant reflective tape on arms, legs and shoulders, YKK zips. Dale Anti-flame Pyrovatex flame retardant moleskin coveralls. Manufactured with brushed surface, spark resistant Anti-flame cloth, providing minimum grip for sparks to cling to surface. Designed with internal pockets throughout. Button-through concealed front fastening.